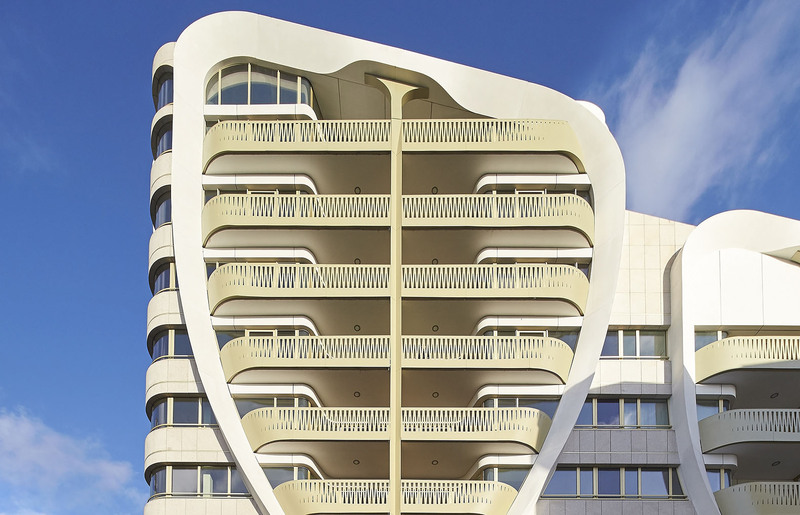 UN Studio recently completed their first project in Belgium-a mixed use complex wrapped in a curving golden envelope. Le Toison d'Or is a hybrid of a traditional building-block typology and mixed use development with a retail podium. Its dynamic form breaks up the monolithic volume and creates an interesting variation in texture, depth and rhythm. The building contains 72 differently-sized apartments, commercial and parking spaces and an elevated garden. The living units combine different demographics and, thanks to floor to ceiling heights of minimum 8.85 feet in the living areas, provide optimal amounts of natural light. 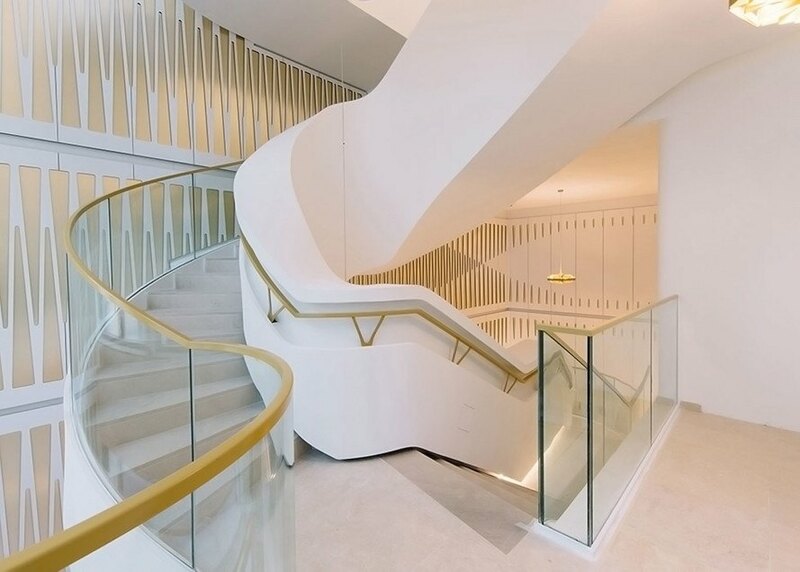 “It was important that the retail units be as open and light as possible. We wanted to contrast this with the apparent solidity of the upper floors, to create the illusion that the vertical balloon-like frames were carrying the building; as if the whole block almost has the potential to float above the avenue,” said Ben van Berkel, founder of UN Studio. Curving bands of glass-fiber reinforced concrete frame the exterior stone walls and glass shop windows, while forming large balconies clad in golden-hued aluminum. The building contains 72 differently sized apartments, commercial and parking spaces and an elevated garden. 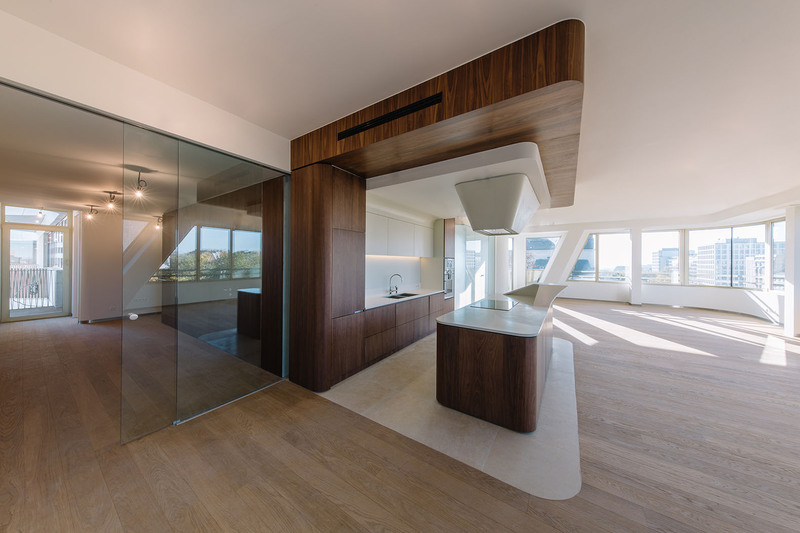 The living units combine different demographics and, thanks to floor to ceiling heights of minimum 8.85 feet in the living areas, provide optimal amounts of natural light.